Happy Spring! This season I couldn't be more excited about warmer weather, blooming flowers and losing winter layers. We waited long enough, and hopefully, the weather will cooperate. 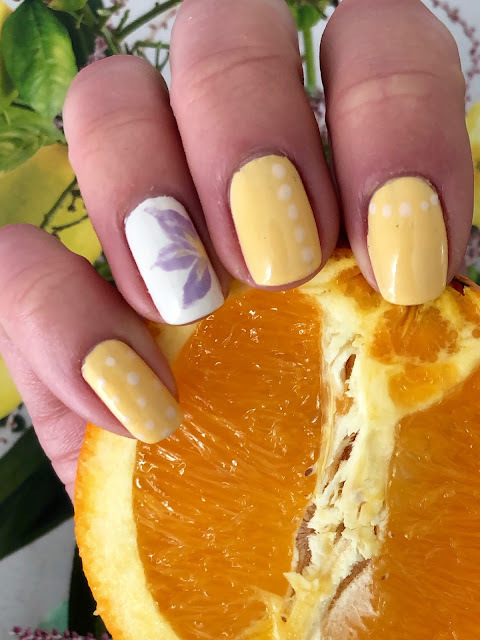 In today's post, I want to show you a bright nail design I come up with for spring. 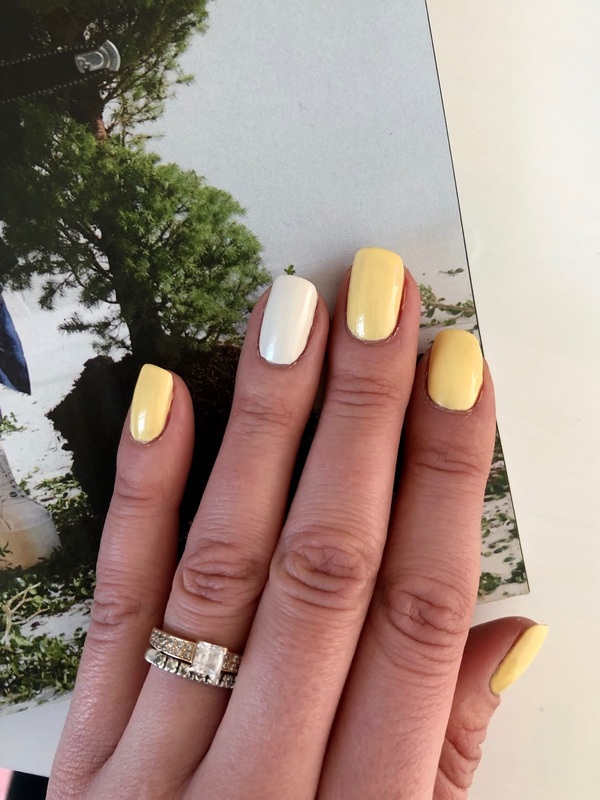 Last week I received a box of nail polishes from Emmabeauty, and I couldn't contain my happiness. It's been a long time since I posted a nail design, mostly because of lack of time, but with all the beautiful colors that I own now, I knew I had to get to work. 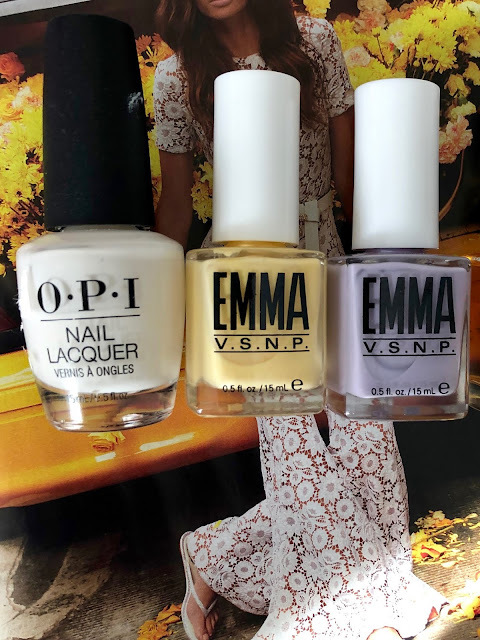 Emma's new collection is called Las Vegas and one of my favorite colors is D.J. or Buffet? 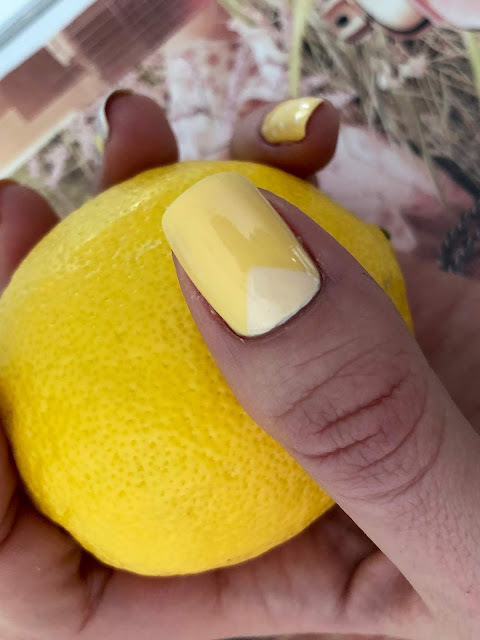 This bright yellow is very appropriate for spring and it became the main color for this nail art. Other colors that I used are It's In The Cloud by OPI and Shop It 'Till I Drop by Emma. On my ring finger, I drew a flower and for that I used brushes. You will need one thicker for petals and one very thin to create creases on a flower. If you aren't good with brushes, you can buy nail polish with a thin brush. Let's get to work! 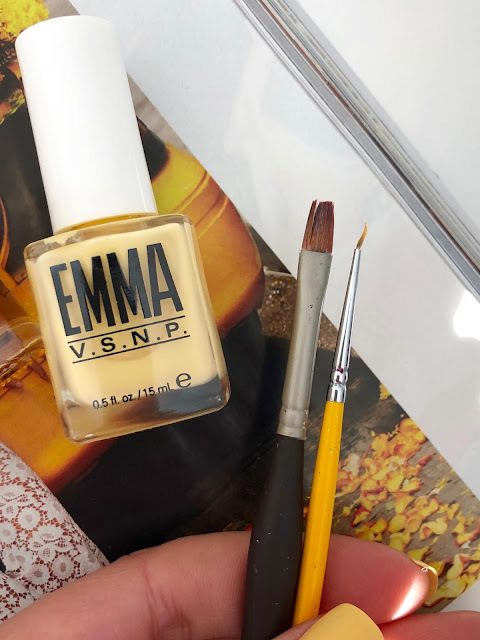 Start with a base coat, I used EmmaV.S.N.P. Stuck On You Base Coat, then two coats of yellow nail polish on every finger, except ring one. Do white nail polish on it, since you want your flower to pop. 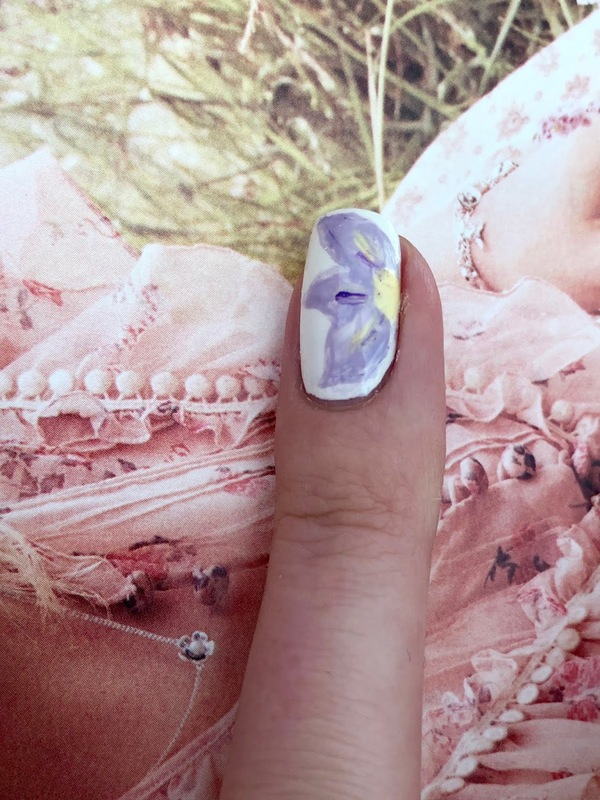 When nail polish dries up a bit, start doing your art. I did a triangle on my thumb. 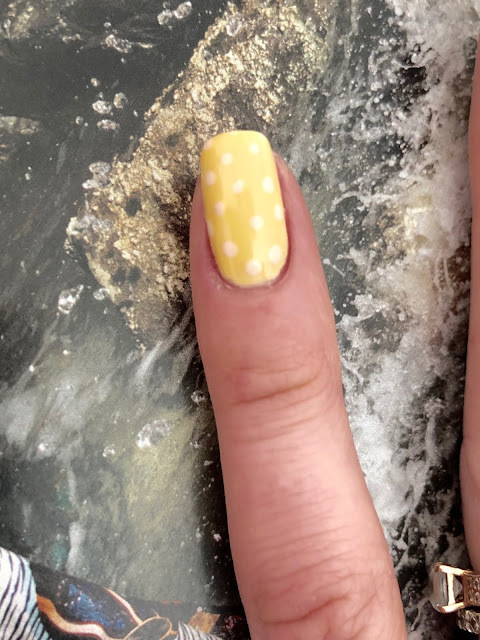 On a pinky, middle finger and index finger do dots with a dotting tool. Pinky - dots all over, middle thinger dots in one straight line, index thinger - dots in a half circle at the bottom of the nail. The flower is the hardest part, but definitely doable. It's definitely easier to show than explain, but I will try my best. With a big brush do thee strokes to create flower petals. Dab your doting tool in yellow nail polish and make a center of the flower, connecting the petals. Use the thin brush to give flowers a tridimensional look. The last step is the top coat. I used Emma V.S.N.P. Rock Hard Top Coat and it helped my nails to dry faster. 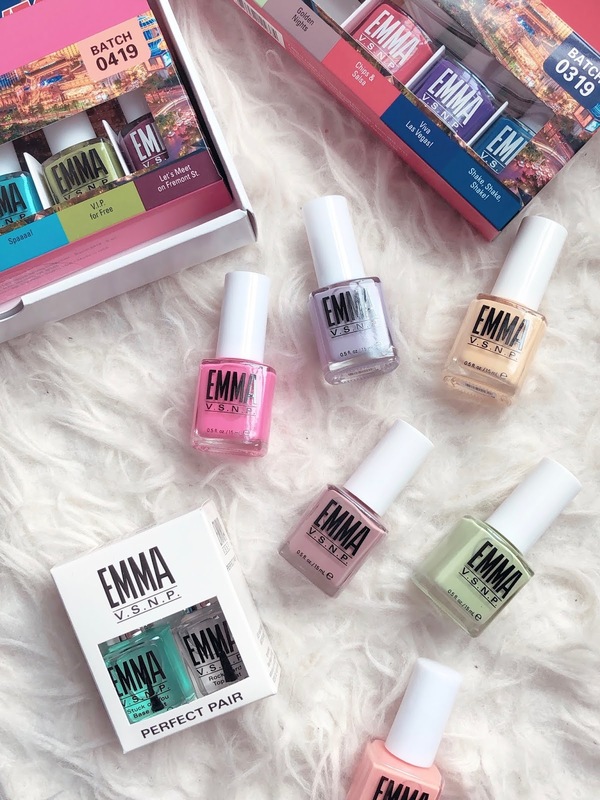 To see more of Emma's nail polishes head to emmabeauty.com, polishes are beautiful, affordable ($6 per nail polish) and are long-lasting. They also 100% vegan and cruelty-free. 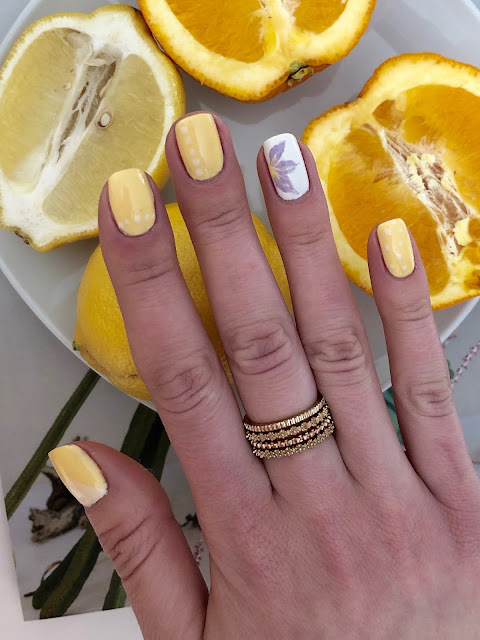 Enjoy your nails and Happy Spring!